Tiger Woods was one of the main reasons we launched GolfPunk. 20 years ago our Editor – as part of the launch issue of loaded magazine – spent the entire day with the 17 year old prodigy. They played golf, had putting and chipping competitions (no prizes for guessing who won all of these), then went to Tiger’s favourite Mexican restaurant and talked for two hours. During this meal Tiger announced, without a hint of ego, that he was going to become: “The best golfer of all time”. “And not,” he added, just in case there was any doubt... “The best Black golfer of all time.” As I drove off down the freeway, I thought to myself ‘Never mind golf, this guy could be President if he put his mind to it’. We all know what has happened over the last 20 years. In 2009 Forbes magazine announced that Tiger was the first athlete ever to have broken through the $1 billion mark, courtesy of 14 majors, 79 PGA Tour wins (second of all time) and – perhaps even more staggering – 40 European Tour wins. I mean, where did he find the time? 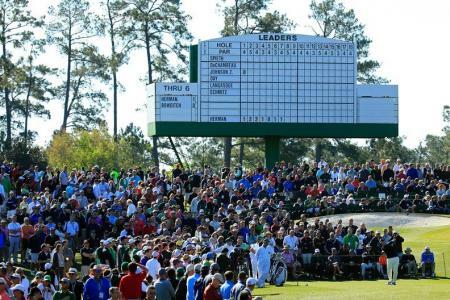 Of course, as we know, Tiger found time to do a lot of stuff we didn’t expect. Apart from the time spent pursuing cocktail waitresses, he broke just about every record worth breaking in golf... Sorry, I had to check myself there, I said ‘broke’, as opposed to ‘so far he has broken’... Not a good idea to talk about Tiger’s career in the past tense. 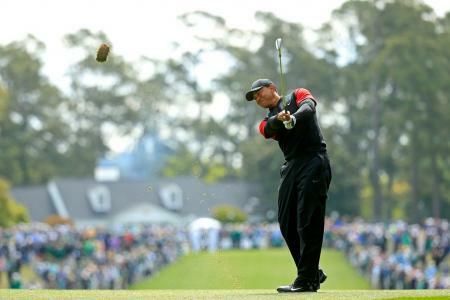 His current troubles aside (at the time of writing he’d just missed the cut in the US Open at Chambers Bay with a car crash couple of rounds), don’t forget that as recently as May 2014, he was World Number One. Things look bleak at the moment, but we’re not betting against him getting it back sometime in the future. He might be higher up this list if he‘d ever said anything interesting in an interview or signed a few autographs along the way. Nicknamed ‘Thunder’ and ‘Terrible Tommy, due to his ‘fiery’ temper, Bolt didn’t join the PGA Tour until he was in his thirties but he went on to win 15 PGA Tour titles, including the 1958 US Open. He was also the fifth PGA Tour player to shoot a 60 (11 birdies) in the second round of the Insurance Open in Connecticut. He missed his 15 foot putt for a 59, which considering his temper, must have had the galleries and officials running for their lives. Bolt was a herculean club thrower when things didn’t go his way, and his antics got so bad that the Tour had to bring in a Code Rule regarding “conduct unbecoming a professional golfer”. “Always throw your club in the direction you are going.” advised Tommy. 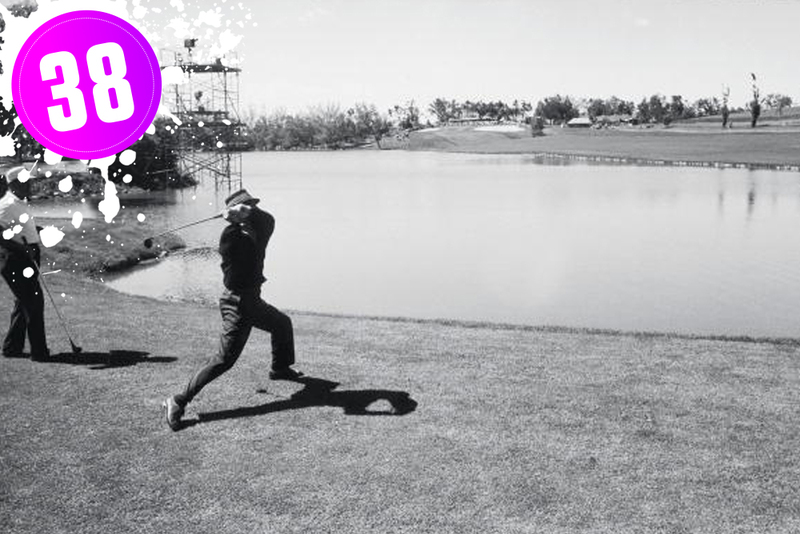 “It saves time doubling back to collect it.” He aimed his driver at a fish in the lake beside the 18th tee at Cherry Hills in the 1960 US Open, claiming that its splash had upset his backswing. 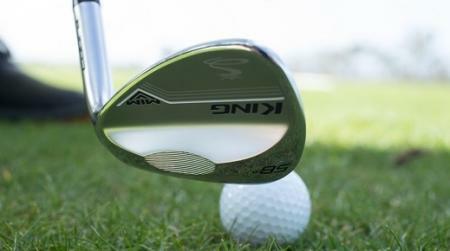 When a spectator waded in to retrieve the club and made off with it, Bolt legged it after him. A tour official once told Tommy to stop breaking wind on the course because someone had complained. Tommy sighed: “They’re taking all the colour out of the game”. Legend. As if eight majors wasn’t enough Tom Watson played golf and table tennis at Stanford! This guy is so good Adams Golf decided to name a line of wedges after him. At first Tom struggled to be appreciated by the US crowds. Just as Jack had had similar issues when he began to supersede crowd favourite Arnold Palmer, Tom suffered the same when he started beating Jack. 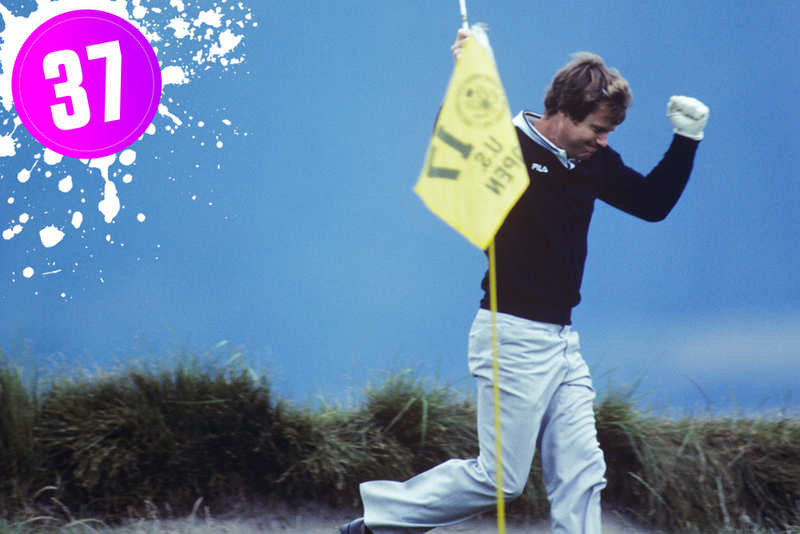 However, by the time Watson arrived at the 18th green at Turnberry in 2009, aged 59, on the verge of becoming the oldest player ever to win the Open, there wasn’t a dry eye in the house. After he’d tragically three putted the 18th and then lost the play off, the entire sporting world had to be hosed down to wash away the tears. See you at St Andrews Tom. I Hate You Tom Watson! When you qualify to play in a U.S. Open at age 12, it doesn’t matter which bathroom door you use. Sorry, not sure where that came from... This girl can play! She also became the then-youngest winner on the LPGA Tour in 2011 by winning the Navistar Classic at only 16 years old – a record that was broken the next year by Lydia Ko. Nice to get your first win out of the way at the same time you’re getting your driver’s license. Her brother, Nicholas, has actually won on the Nationwide Tour as well. She’s definitely one of those superstitious golfers – the kind that will eat a specific meal, play a solid round and eat the same thing the next day so as not to mess up the vibe. All this, a major in 2014 and the icing on the cake, a cover shoot with GolfPunk. Keep on blazing it up, Lexi.